Dede One day, a very popular Nigerian actor and comedian information is sketchy as he loved keeping his Family and private life from the public. Keeping his private life sketchy. Home town:– Umuagwuru Mbieri, Imo State. Occupation: Nollywood Actor, comedian, Director and Photographer. If you wish to bring back the smile to your face and enjoy some real good comedy, watch some of these movies with Dede One Day. He had a genuine talent for making people laugh and forget their hardships of life. 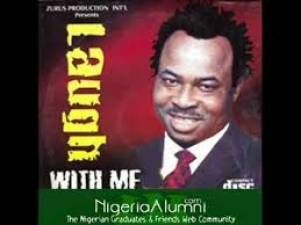 Besides being featured in many Nollywood movies, Dede One Day has had his own comedy show called “Laugh with me”. You can find many episodes of it on YouTube. This show has brought him popularity, as Nigerians love good jokes. He was born and raised in Aba, Abia State in Nigeria. His full name was Dedeoneday Onyehide. His promising career ended in while he was in the midst of life events and making people and laugh and enjoy themselves. He was at a club after carrying out an event and suddenly fell down feeling ill. He had high blood pressure and no doctor could help him to get over the trouble. The comedian well known with his ‘Laugh With Me’ comic series passed on after battling with high blood pressure yesterday December 13, 2015. “One Day anchored a program for One Mr Charles Esonu yesterday (December 13, 2015) in Aba, from there he went to Ugwunagbo for another event he was paid to anchor as Master of ceremony , but he couldn’t conclude that event as he fail sick and was rushed to hospital over BP related issue and he died late in the Night,” Source said.